The project expert group consisting of the Hunan Provincial Department of Commerce and the Finance Department has inspected and accepted the first large-mesh Gk250E mixer imported from Italy by the independent innovation and research and development of Yiyang Rubber Plastic Machinery Group Co., Ltd. The panelists agreed that the R&D project has completed various technical and economic indicators. The large meshing type Gk250E mixer is a national â€œ10th Five-Yearâ€ major technical equipment development project. It is the key equipment of the national radial tire key project, and also the export product research and development fund project, and has passed the results of the China Petroleum and Chemical Industry Association. This machine is the largest capacity meshing mixer in China, which fills the domestic gap. In 2005, the project was awarded the second prize of Hunan Science and Technology Progress Award. 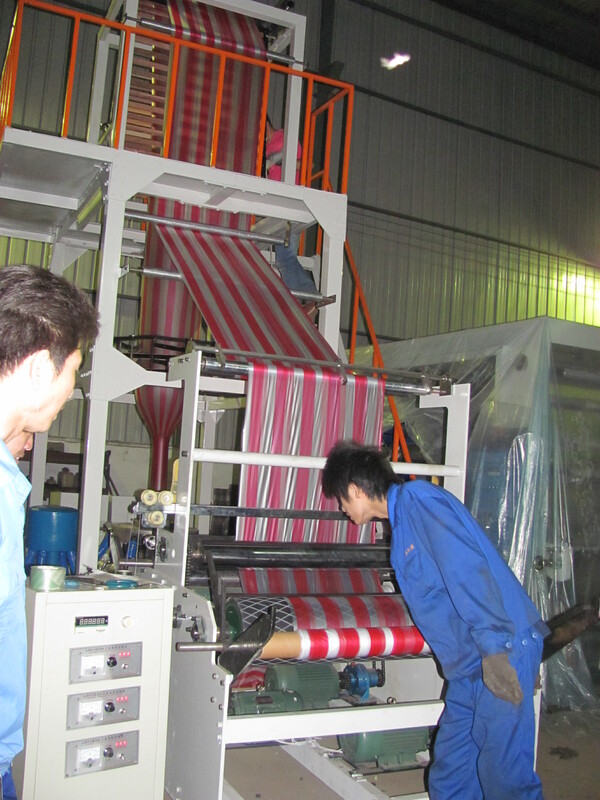 The double color strip Film Blowing Machine is used for blowing various low density polyethylene and high density polyethylene color striped plastic film which is used for packing garment, textile, daily necessities and other industrial products. This machine is with double screw and one extruder.